If you’re hopping by for the first time, I hope you have a lovely time here! If you’re a more frequent visitor, it’s always great to see you again! In honour of Book Blogger Appreciation Week, let’s take time this week to honor our favourite book bloggers and why we love them! 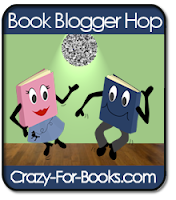 The Book Stop – this was one of the first blogs I discovered and I still love it – it contributed to my final decision to cave and get an eReader and I love that! I look forward to reading the reviews because CurleyGeek always goes for a wide range of books and I find myself yearning for a collection that diverse! Musings of a Bookshop Girl – Again, one of the first blogs I started regularly reading and I pretty much read all of the posts here because they’re always bright and funny and relate to books I really want to read. What Red Read – I love that this blog is simple and doesn’t have glitsy bits and bobs everywhere but focuses on what I want to read about: books! It’s always witty and I get a lot of my new read ideas from over there. So I’m so sorry if I missed anyone – I probably do follow you (and love you if I do)! What blogs do you love? !